★Secure, Protect & Hide your information, like: Gallery, Documents, Passwords & more! ★ANTI HACK FEATURES - Many different ways to lock and secure - Monitor who tried to hack into your phone! ★Cloud backup - Always keep your data safe in the phone as well as the cloud. ★Notes, To-do list, Voice Memos, Gallery lock, Advanced Data Security & more! Folder Lock® Advanced is a more sophisticated version of Folder Lock 1.6 for Android, boasting better graphics, new features and overall performance. Introducing Gallery Lock, which encrypts your photos and videos. 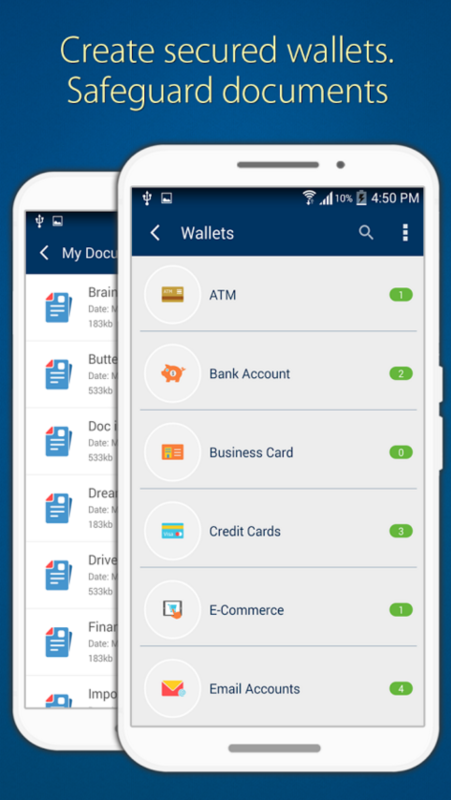 You can also secure audios, documents, wallet cards, notes and other types of data on your Android phone. Lock documents, Apps, Gallery, Social Media and a lot more via Folder Lock. Best of all, you have the option to upload locked and encrypted data to your Dropbox account. 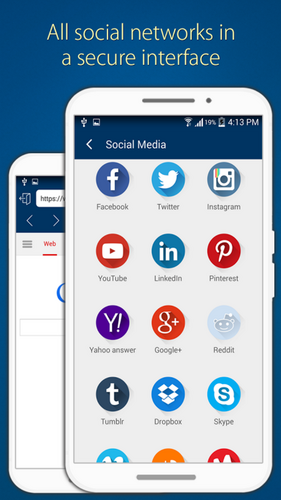 In all, this app is the Swiss army knife for smart phone data privacy. So lock everything with Folder Lock! 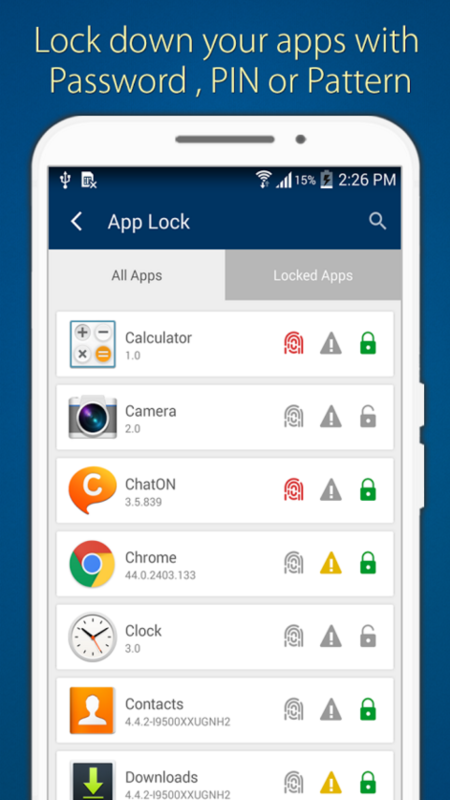 Folder Lock Advanced is the most comprehensive data privacy and file manager, phone locker app that is available for Android. "Editor's choice on PC Magazine". "Ranked #1 encryption software on TopTenReviews.com". Gallery lock is Folder Lock's newest feature. With Gallery Lock's secure gallery, you can now view photos and videos in one option Gallery Lock option. The hide gallery feature makes Gallery Lock even better. Folder Lock allows you to Photo Lock and Video Lock your personal stuff. 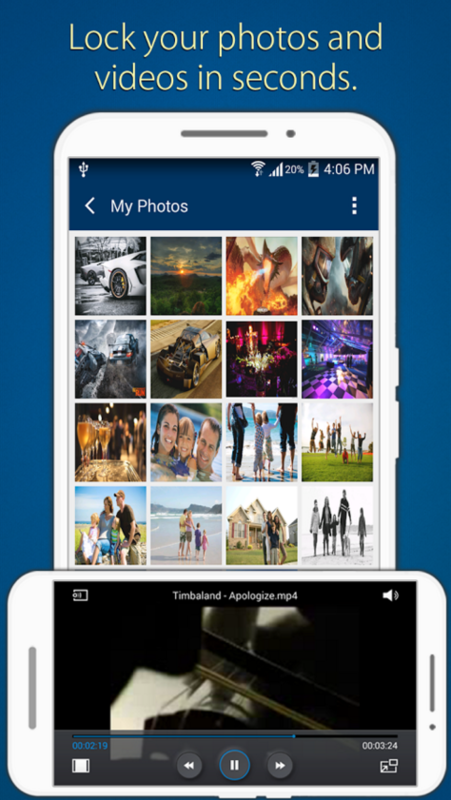 Create new albums and organize your personal photos and videos at your convenience. You can shoot pictures or make videos directly within the app as well. 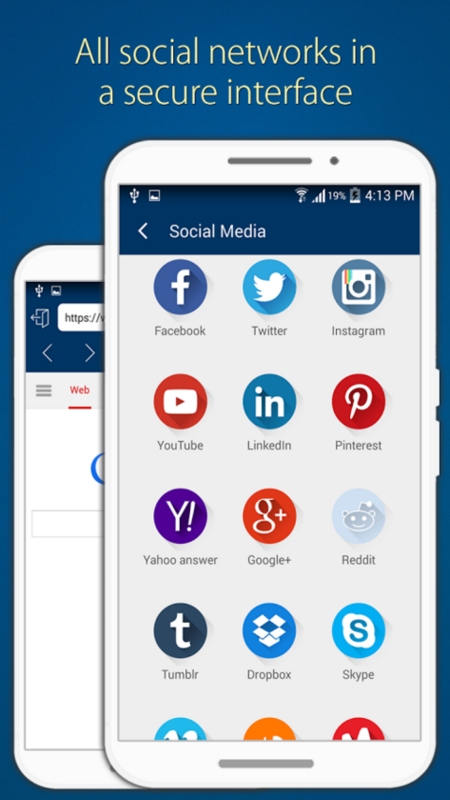 With Social Media Vault's secure interface, you don't have to worry about others accessing your social networking accounts. 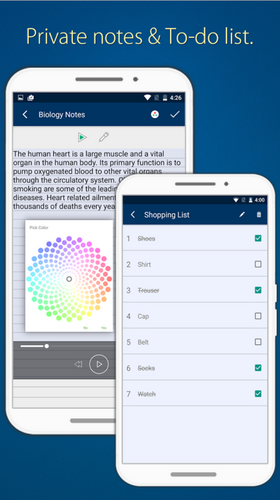 Write secret notes and to-do lists with the option to attach photos and audio recordings. Categorize them for easy management. You don't have to worry about losing your sensitive data. Easily and conveniently backup all your locked files to your Dropbox. 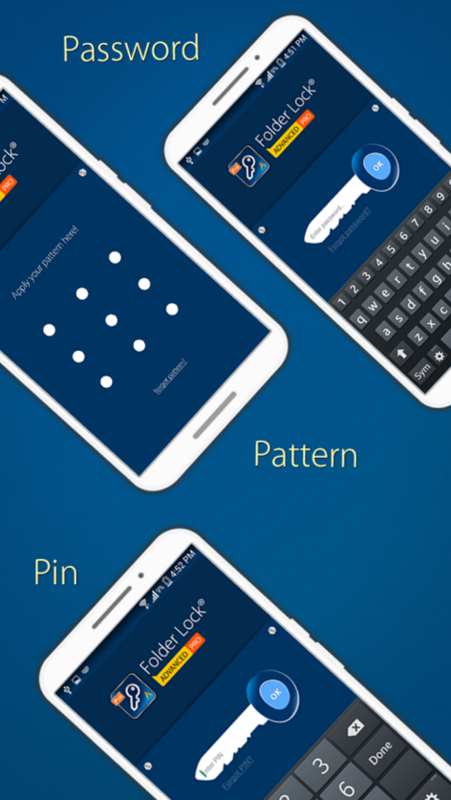 Easily retrieve your forgotten PIN, Pattern or password through email recovery. Switch to another application with just a shake, flick or placing the palm of your hand on the screen. 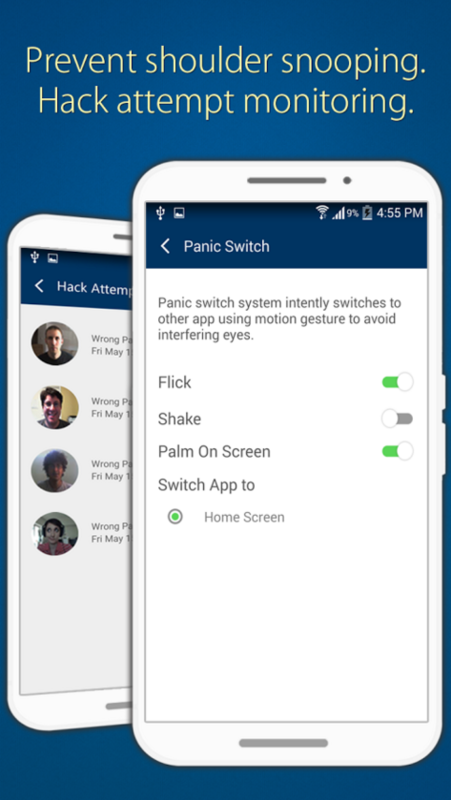 Panic Switch keeps you safe against snoopers. Set up a fake account with fake data to create the impression you have nothing to hide, prevents suspicions of authorized users. Launch the app in complete privacy and secrecy. Apart from this, the hiding app function allows the phone to immediately disappear from the list of working apps once you stop using it. Deter unauthorized users attempting to access Folder Lock. Automatically takes images with time stamp upon entering the wrong access code.